Paul Simon has been writing and releasing music for the last seven decades. Though he plans to continue recording, and playing the occasional benefit concert, he is calling "Homeward Bound" his farewell tour. It stops Saturday at Portland's Moda Center. In a recent public statement, Simon described the thought of retirement as, "a little unsettling, a touch exhilarating, and something of a relief." Saint Vitus were underdogs from the start, and remain so to this day. Dave Chandler embodies street-level doom (or as his mother called it, “Funeral Music”) flying the flag for underachievers and burnouts of all ages. In tribute to this unwashed cult of early adopting true believers, he named the sixth Vitus album Children of Doom. This is the album that changed my life. Then the band flew home to Tokyo and went dark for nearly a decade. Nearly 10 years after the release of band's last album, 2007's You Take Me To the World, a new recording appeared on Bandcamp. Appropriately, it's called "Phoenix." The dream of the 1970s is alive in Paradise. "We actually had a plan," says Tamar Berk, the Portland band's vocalist and organist. "We were gonna start a band from the '60s and move them into the '70s, as if we lived at those times." These days, that kind of high-concept rock'n'roll is rarer than phone booths. But the members of Paradise like to think big. The band has no delusions of grandeur. With serious day jobs—Berk is a school teacher, and her partner, guitarist Steven Denekas, works in advertising and design—heavy touring isn't possible. Since getting together eight years ago, though, they have been slowly unfurling an ambitious recording career. And their new album, Dawn of Paradise, is their most grandiose yet: a double-LP rock opera, produced by the guy who engineered Quadrophenia. 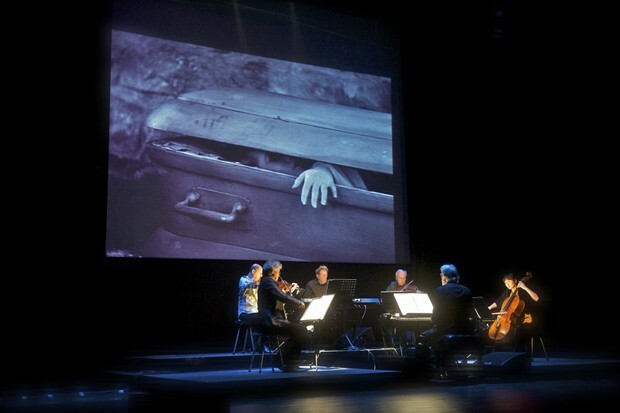 When Universal Pictures began restoring three of its best-loved horror classics in 1998, eminent modern composer Philip Glass was tapped to score one of them. He did not struggle with the choice. “I said, ‘I have to do ‘Dracula,’ ” he said in a recent interview. Jeff VanderMeer's novel is a dystopia nearly psychedelic in its strangeness, exploring the cockroach-like ability of humanity to survive in the aftermath of environmental crises we ourselves created. After the serpent, the goat is widely considered the most evil animal in mythology, literature, film, and music. From biblical verse to Baphomet, Black Phillip and beyond, the cloven-hoofed mammal has long been maligned. But the majority of these allusions are surface-level references to a beast that is broadly misunderstood. "I was born legally blind," says Henry while leaning his face into a menu at Side Door. "So I had extensive ear training when I was very young, and I didn't know it. Sing Street is a new wave rock & roll fairy tale set in early '80s Dublin. Fans of quality nostalgia fare like Freaks & Geeks will revel in its references. A fifteen-year-old boy (Ferdia Walsh-Peelo) seeks to escape the harsh reality of his brutal schoolmasters and splintering home. Under the tutelage of his hash-smoking, dole-surfing older brother, he discovers Duran Duran videos and Cure albums. In an effort to woo an aspiring model named Raphina (Lucy Boynton), the young man conspires to start a band of his own. Terence "Geezer" Butler helped build Black Sabbath's wall of sound with four mighty bass strings and a clever quill. He's the lyricist for all your Ozzy-era favorites, and boasts the second-longest tenure of any original member after guitarist Tony Iommi. WW caught up with Butler midway through The End tour to ask about his doomsday masterplan after the final curtain call. 1. Write a memoir, if I can remember anything. Gary Lee Weinrib, better known to the rock world as Geddy Lee, was born to Holocaust survivors in the subdivisions of Toronto. He joined a fledgling version of Rush in 1968, and shortly thereafter, he dropped out of high school to make a career in music—and succeeded beyond all reasonable dreams or aspirations. He’s won Best Rock Bassist in Guitar Magazine six times. His band has recorded more consecutive gold and platinum albums than any other group besides The Beatles and the Rolling Stones. You’ve seen a few episodes of Portlandia, so you think you can navigate the quirky culture of this town like a pro, right? Better read this first–here are 15 things never to say to a Portlander. Approaching the Schnitz on Saturday evening made it clear that Nick Cave's return to Portland was nothing short of a goth holiday. It was date night in black, and anyone who was turned away from his sold out Crystal Ballroom show in 2008 had made damn sure not to make the same mistake. 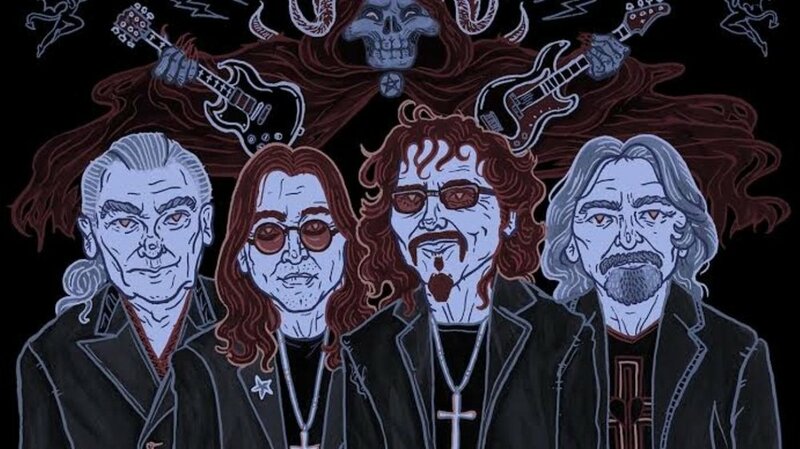 When Black Sabbath—heavy metal's widely acknowledged patient zero—announced a reunion of its original lineup in 2011, promising a tour and an album of all-new material to be produced by Rick Rubin, it seemed too awesome to be true. And it was: Drummer Bill Ward declined to accept the "unsignable" contract he was handed, leading to still-ongoing interband acrimony (Ward has been erased from photos on the Sabbath website) and causing Rubin to push Portland-born Rage Against the Machine drummer Brad Wilk onto the throne. Cymbal-making was in Bob "RZ" Zildjian's blood. As the first generation of his family to be born on American soil, he helped shepherd in a new era of Western prosperity for the 350-year-old family brand. And when tradition got in the way of his career and aims for Zildjian, he cemented his reputation as a passionate innovator by founding Sabian -- now the second biggest cymbal manufacturer in the world. "If anyone in 1980 had shown you 2006 in a crystal ball, would you have believed them?" asks Devo founder and bassist Jerry Casale? I'm sure my 7-year-old mind would have been disappointed by the lack of jetpacks, but otherwise he clearly has a point. Casale and Mark Mothersbaugh met at Kent State in the early '70s and went on to create one of the most influential art-rock bands of all time. Over 30 years later, their message is more relevant than ever, and their best music sounds far fresher than most of the nouveau new wave that's been foisted on us in the actual 21st century.